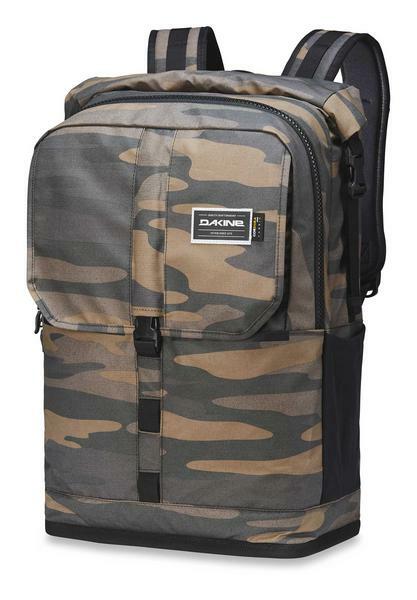 The Dakine Cyclone Wet/Dry comes with roll top design, waterproof welded wetsuit pocket and coated Cordura Ripstop construction. The Corura fabric is highly waterproof and extremely durable thanks to the additional Cordura cords which run through it. It is extremely water resistant perfect for keeping towels and tech dry before your session, and keeping your soaked wetsuit contained after it. This is the key point with this pack it easily keeps your wet gear away from items you want to keep dry all in one pack. 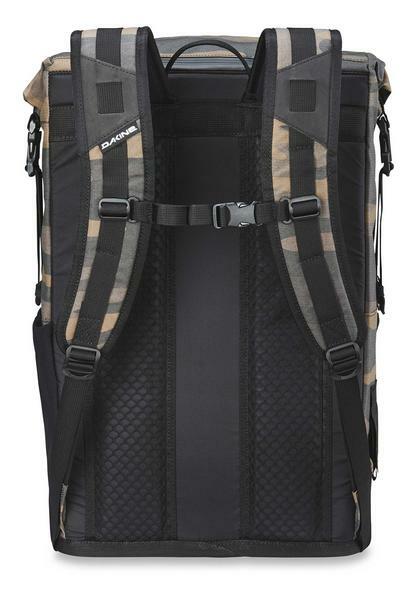 This is a super-solid midsized wet/dry pack with lots of functionality and plenty of space. Waterproof roll top wetsuit pocket - Keeps the wet stuff away from your dry stuff!